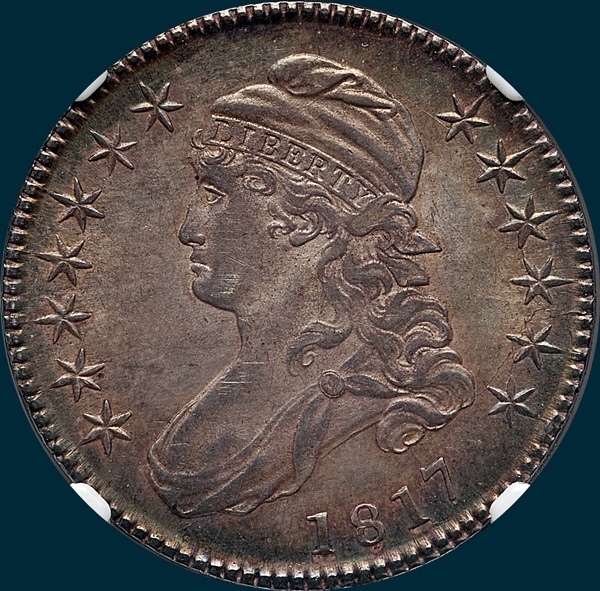 A common variety with high grade examples in both die states available up to MS67. 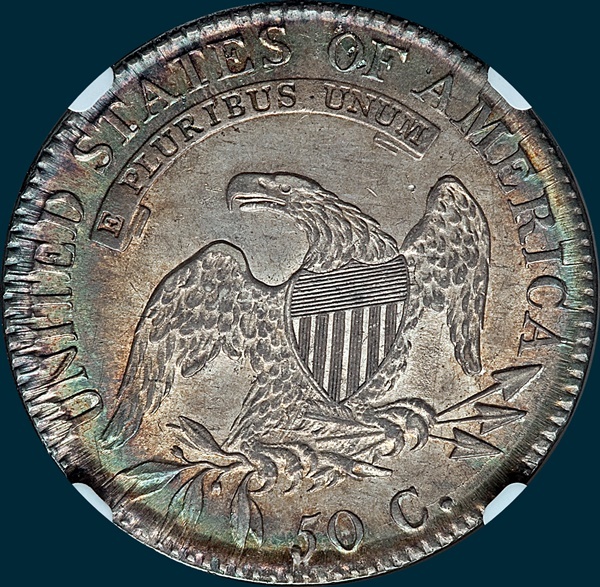 NGC Graded AU55. 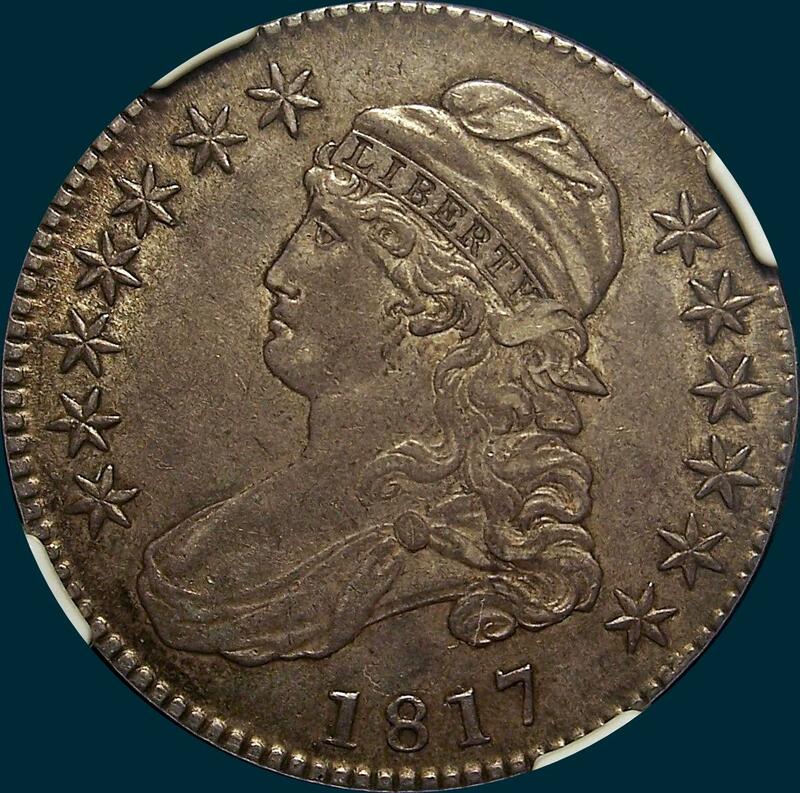 An original silver-gray coin with decent luster and no distracting marks. Variety Attribution: Obverse-Star 13 points to a triple segment in the milling. Tiny center dot on neck. Date is 8 mm. A die defect lump below base of 7. O-110a: This state has a die crack from top of cap that joins all stars on right barely touching one point of star 13 as it runs to bottom of curls and bust. There is also a horizontal crack from this one to edge between stars 11 and 12, and another fine crack across end of bust to star 1. 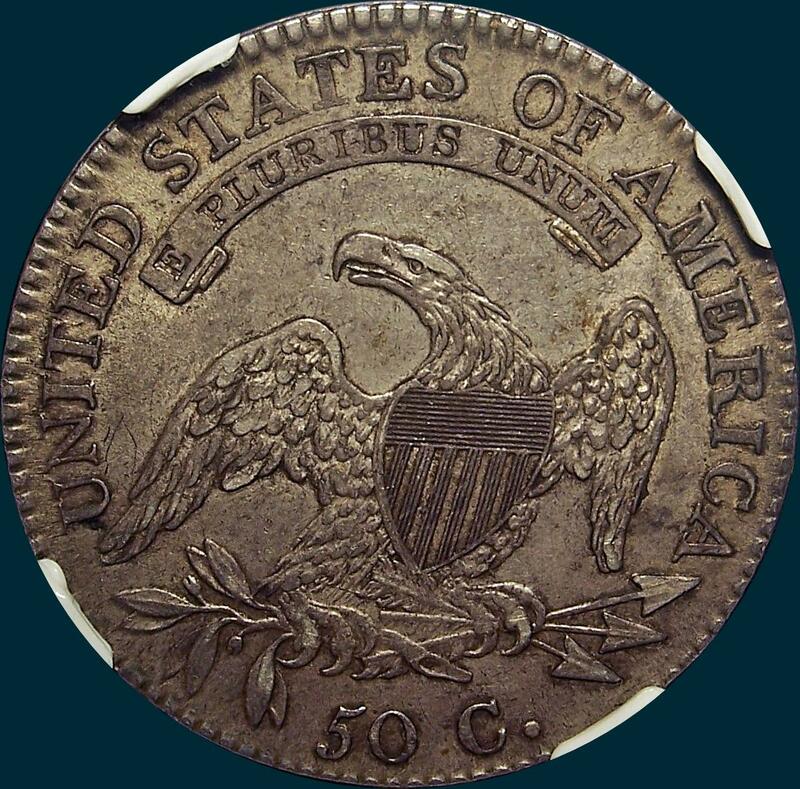 Reverse- 50.C. is 1 3/4 mm. and low. Arrow to A is 1/2 mm. Center dot between crossbars 4 and 5. As straight horizontal tool mark from tip of feathers of upper arrow shaft. O-110a: There is now a fine die crack through ERICA downward touching points of two lower arrowheads and through 50 C. to edge.